We’ve reduced our IT costs by 50% by using AWS to roll out Blockbuster in Sweden, Finland, and Norway. Blockbuster cut its IT costs in half—while expanding to three new countries—by delivering its transactional video-on-demand content using AWS. Blockbuster delivers thousands of movies and TV series to viewers across the Nordic countries via its streaming service. 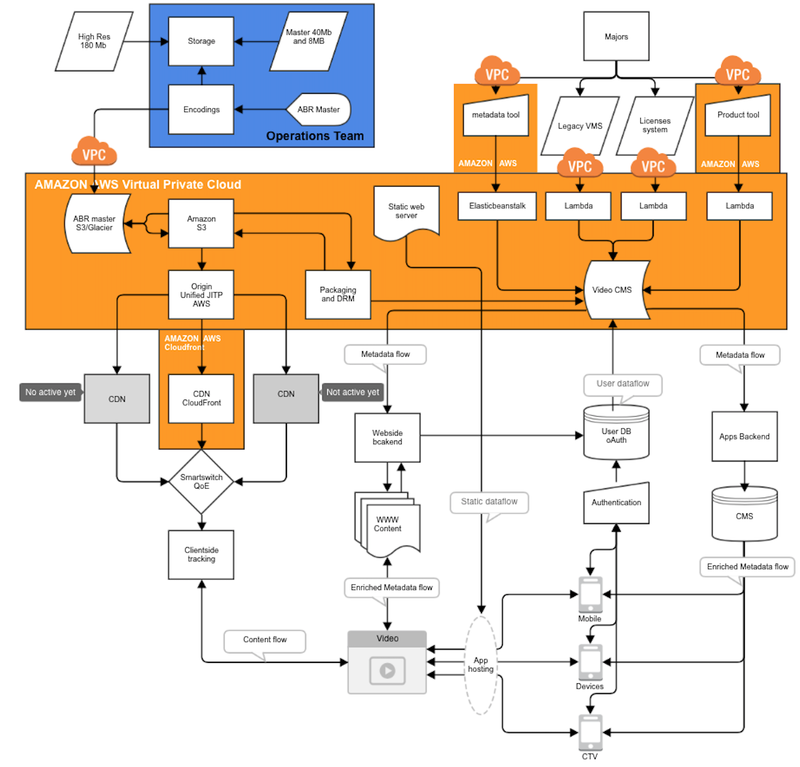 The company uses Amazon CloudFront to deliver its content and AWS Lambda for serverless compute processes that track customer transactions and help Blockbuster build a detailed picture of customer behavior to personalize services. Blockbuster, owned by the Danish TDC Group, provides streaming movies and TV series to viewers in Denmark, Sweden, Finland, and Norway. It offers transactional video-on-demand services that allow consumers to pay a fee to access content. The service has hundreds of thousands of subscribers in Denmark and is rapidly growing a strong customer base across Sweden, Finland, and Norway. 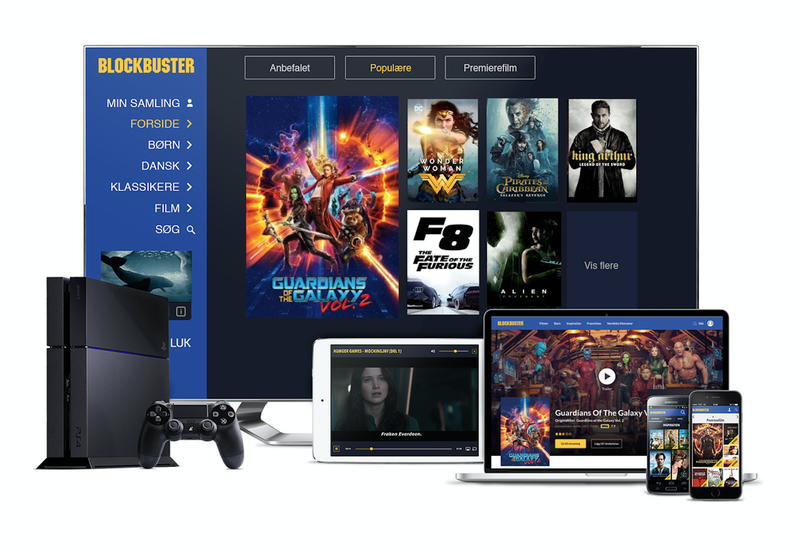 Blockbuster, once known for its video rentals, is now a service providing transactional video-on-demand (TVOD) to customers in Denmark, Sweden, Finland, and Norway. Viewers can choose from 8,000 movies and 350 seasons of TV series to watch. Danish company TDC Group, which bought the rights to the Blockbuster name in Denmark and the rest of the Nordics, is the largest telecommunications company in Denmark. TDC Group provides Blockbuster content to more than 300,000 customers in Denmark and thousands across Sweden, Finland, and Norway. As Blockbuster prepared to expand from Denmark to Sweden, Finland, and Norway, it expected to add thousands of new subscriptions in the first few weeks. The company needed not only to scale to meet this demand, but also to provide fast, high-quality streaming to its customers. What’s more, if the company failed to provide the personalization common in competitive services, it risked not attracting new customers. Prior to Blockbuster’s expansion, it ran its streaming services in an on-premises data center in Denmark. It was clear, however, that this kind of architecture couldn’t support the expansion to the other Nordic countries. Henrik and a colleague worked together to build the AWS infrastructure that would support the TVOD service. They benefited from prior experience working with AWS and teamed up with NPAW (Nice People at Work), a business-intelligence company for online media, to develop their services. Blockbuster’s movies and TV programs are streamed via Amazon CloudFront, a content-delivery network that speeds up the distribution of web content and adds security with DDoS protection as standard. Using AWS Lambda, Blockbuster runs serverless compute processes across AWS Regions and Amazon CloudFront edge locations (using Lambda@Edge) without provisioning or managing servers. These processes include applying transactional labels to purchases so Blockbuster can track customer activity, and providing personalized recommendations based on previous purchases. Blockbuster uses AWS Elastic Beanstalk to deploy web applications at scale without IT-management overhead. It also takes advantage of AWS Elastic Beanstalk to automatically provision core AWS services such as Amazon Elastic Compute Cloud (Amazon EC2) and Amazon Simple Storage Service (Amazon S3) to support Blockbuster web applications as they are developed. Learn more about content delivery.